STAT MedEvac operates an EC-145 twin engine helicopter for the Johns Hopkins Hospital Lifeline Critical Care Transport Program. STAT MedEvac 10 is based out of the Inner Harbor's Pier 7. 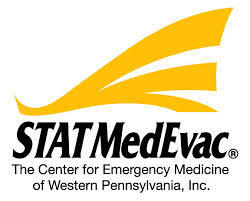 STAT MedEvac is a service of the Center for Emergency Medicine and provides first response, interfacility. and critical care transport to ill and injured patients An observer program begins in October and runs through May of each year. Students and residents interested in learning more about aeromedical transport are encouraged to participate in fly alongs. STAT MedEvac's crew configuration generally consists of a pilot, flight paramedic, and flight nurse. Ride alongs with STAT MedEvac are voluntary, as the program is not officially affiliated with the University of Maryland School of Medicine. For further questions about STAT and its flight program, contact senior flight paramedic Crista Lenk.